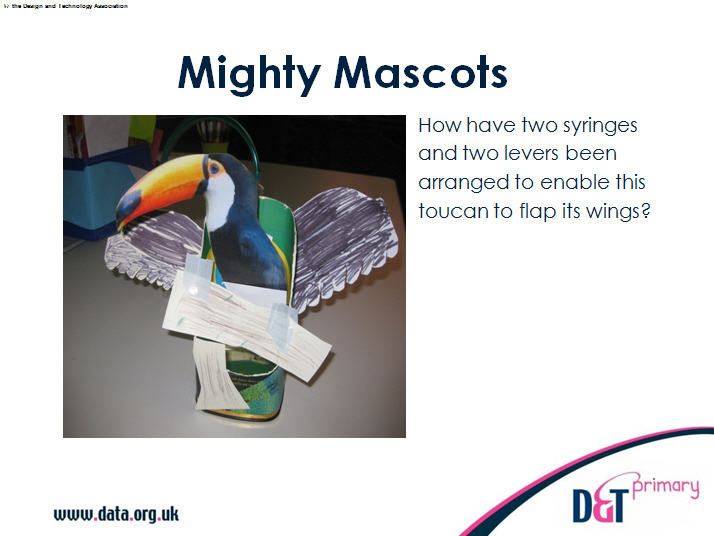 In this project children use pneumatics to design and make a mascot suitable for an opening celebration of an event such as a school-based version of the Olympics. They research a range of countries represented at the event and develop ideas that reflect the diversity of each country’s identity. The children explore the nature of pneumatic systems and how these can be incorporated into a design for a mascot, which they then make and evaluate. 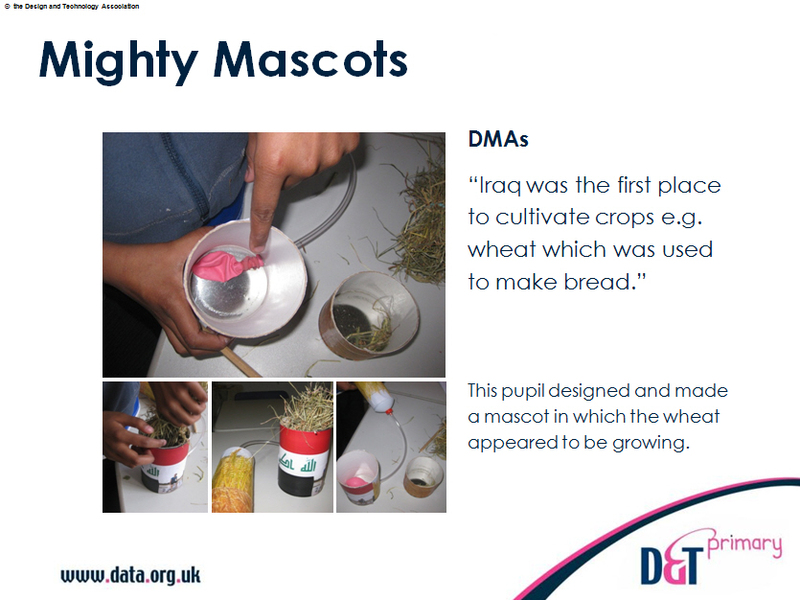 The resources include teacher planning, a helpsheet, two PowerPoint presentations and pupil worksheets which include researching a country, a design specification and sheets for investigating, design and planning their project. 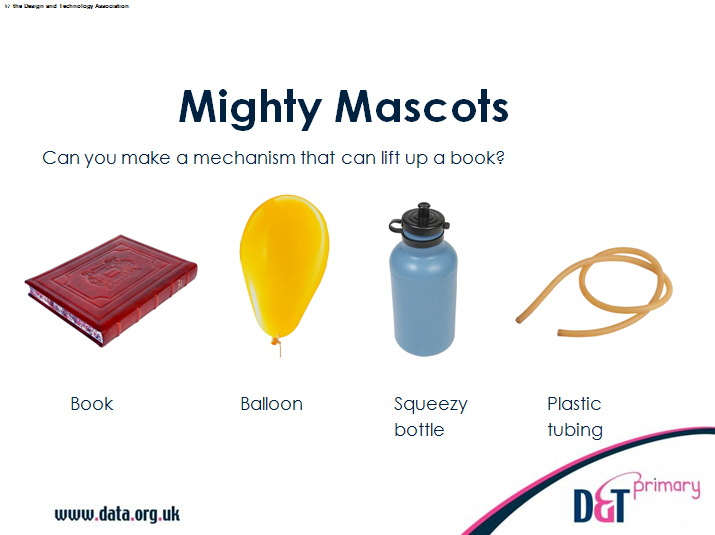 The pupil PowerPoint gets children to investigate pneumatic systems, and introduces the mighty mascot task with examples of how other mascots have been made. The unit helps to develop children’s understanding of control through investigating simple pneumatic systems and designing and making a mascot that has moving parts controlled by pneumatics. The techniques used could be adapted for use in another context where something needs to be controlled by moving backwards and forwards or up and down, for example a tip-up truck, a jack-in-the-box or moving scenery for a puppet theatre.